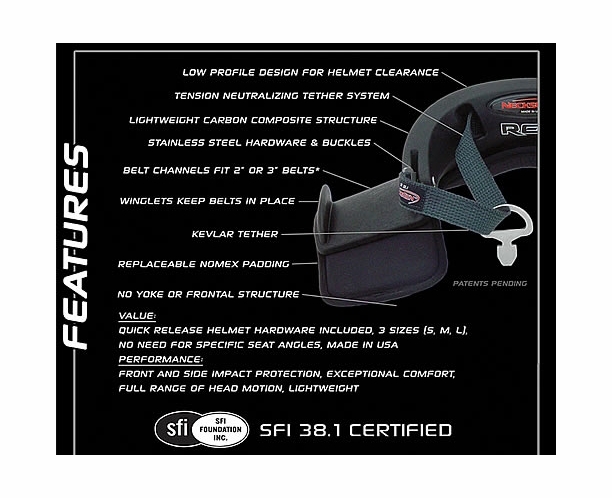 SFI 38.1 Certified / Approved! 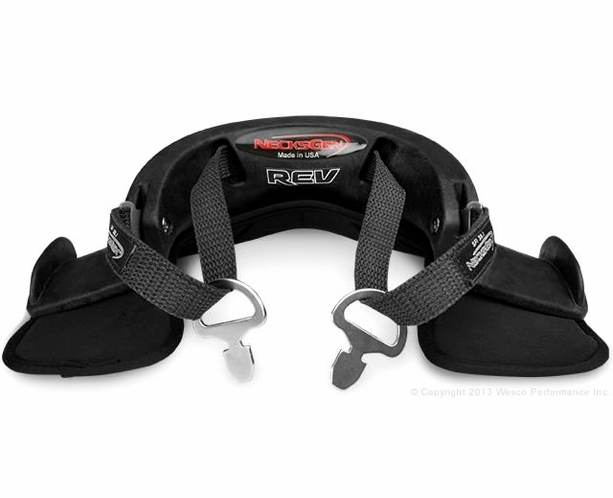 The REV NecksGen neck restraint device HNR is the result of the latest technology and research in head and neck device systems. 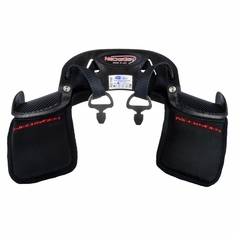 The NecksGen restraint device protects the racer not only in forward head and neck motion, but lateral (side) motion as well and also angular motions due to the additional side tether protection made possible by the exclusive continuous tether system which is not available with most other older technology neck restraints. 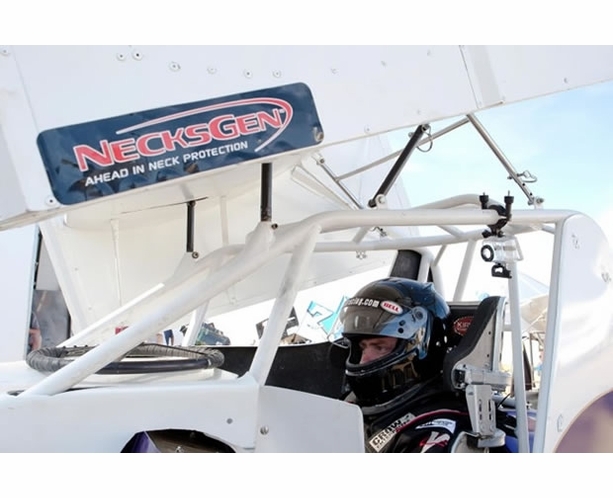 NecksGen's unique tether system distributes forces through 4 different load paths during impact with its adjustable tension. 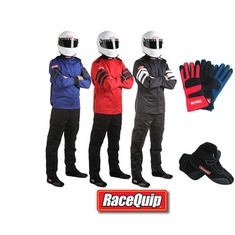 Even with all of this safety protection, it provides the race driver full range of head and neck motion while racing. 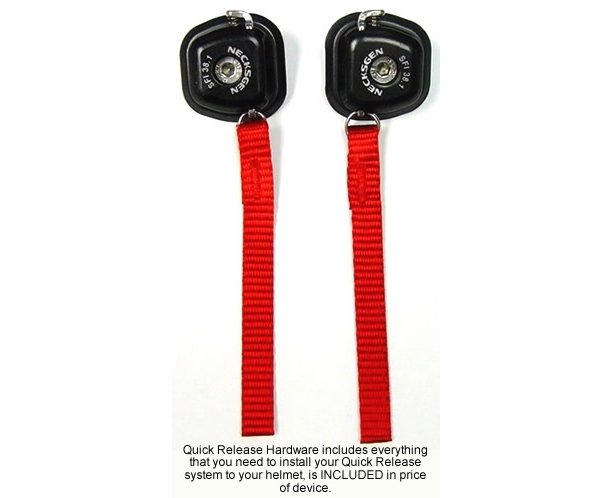 Quick Release Hardware Included with Price - Features BOTH two finger pinch release and easy tether/tag pull. 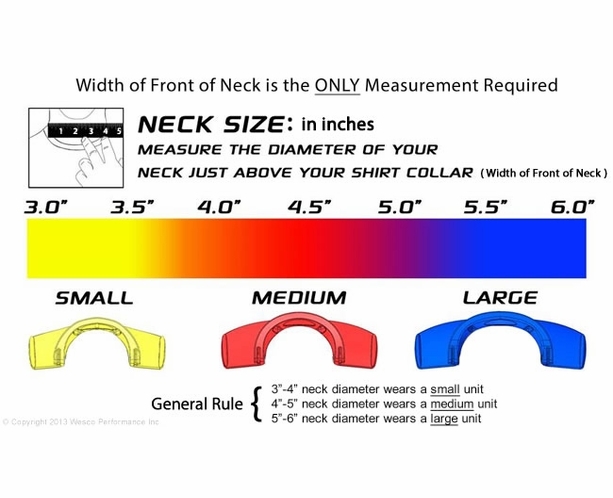 Works for All Types of Seat Angles. 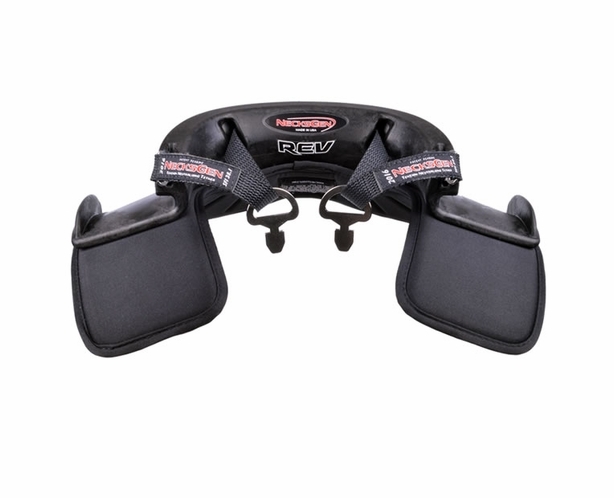 This New REV's Very Low-Profile Design Eliminates Need for Multiple Angle Settings! 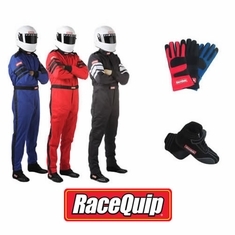 Also Includes Quick Release Hardware, Tool Kit, Decal Kit, Patch, Flexfit™ Cap and Carry Bag. 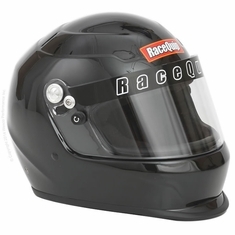 Also a Complete User's Manual That Shows You Exactly How to Install Your Helmet Hardware and Anything Else That You Might Need to Know. 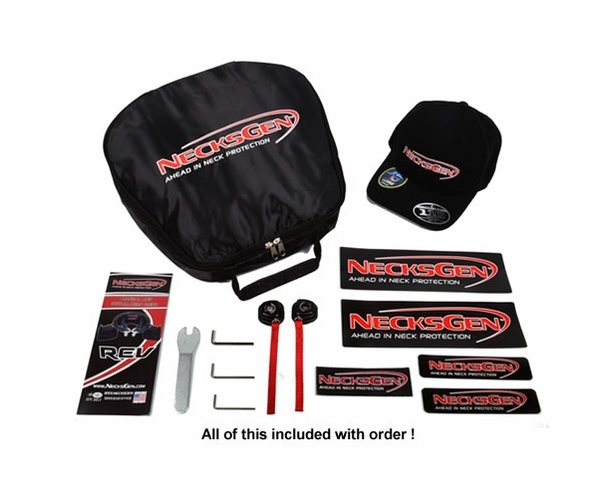 Necksgen REV Extremely Strong Carbon Fiber Composite by Dupont, Quality Material and Made in the USA! 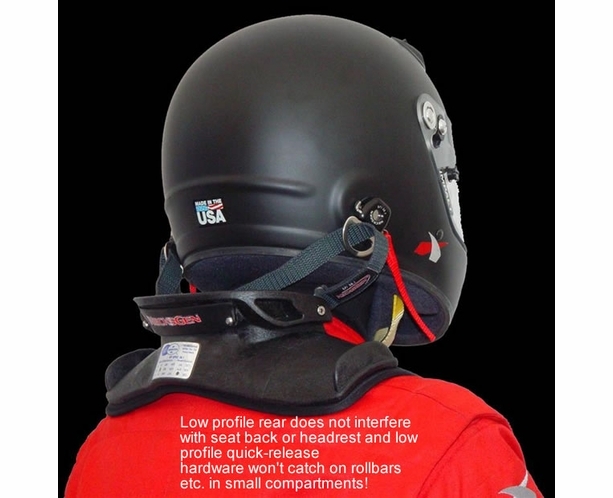 Low profile rear will not interfere with headrest area or seat eliminates the need for seat angle adjustments and also low profile quick-release hardware won't catch on rollbars etc. 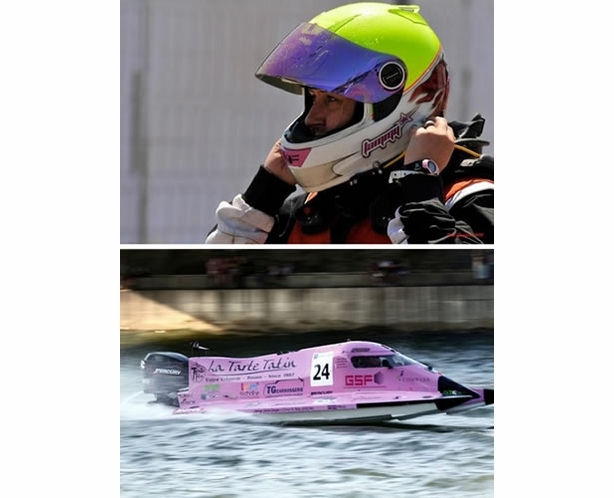 in cramped compartments. 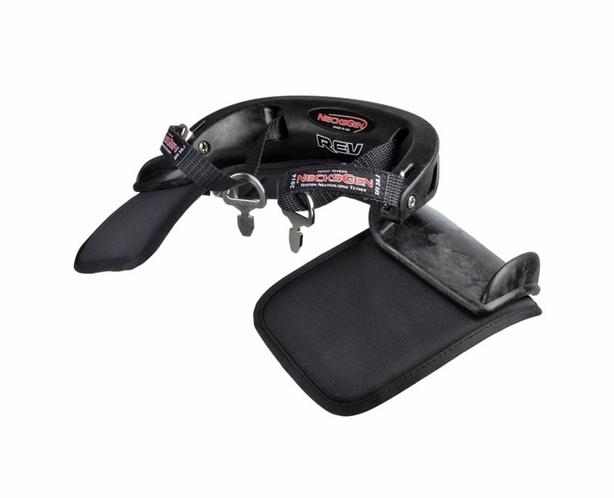 Low Rear and Quick Release Profile excellent for smaller cockpit racing vehicles like dragsters and land-speed race cars. 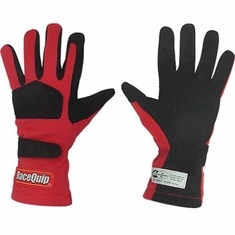 The quick release hardware is incredibly smooth and is included with each device. 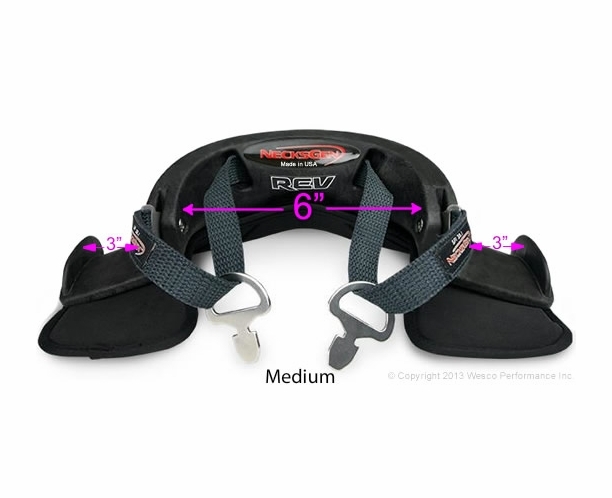 Easily pull both release tethers (or use two finger pinch release) while moving your chin to your chest and you're disconnected! 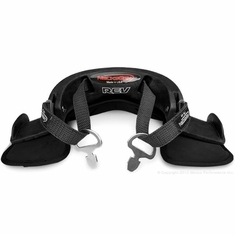 Easily buy head and neck restraint for sale price online.